The adoption of environmental management system should be strategic decision of the top management of an organization. 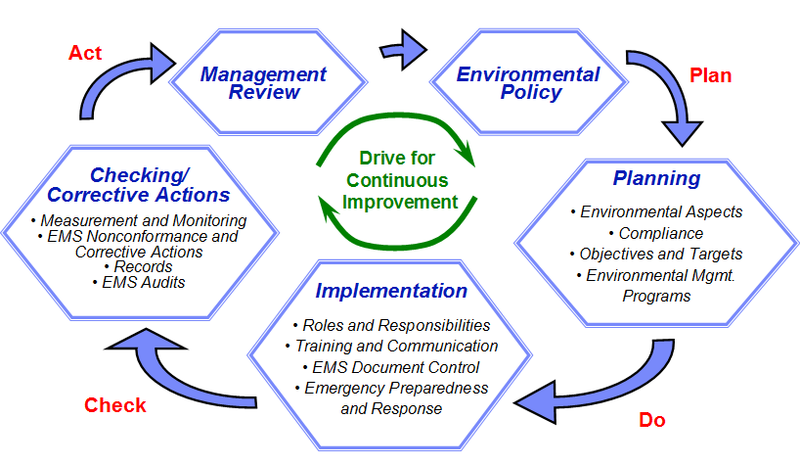 The design and implementation of an organizations environmental management system is influenced by varying needs, particulars, objectives, the products provided, the process employed and the size and structure of the organisation. The purpose of an organization is to identify and meet the needs and expectations of its customer and other interested parties (people in the organisation, suppliers, owners, society) to achieve, maintain and improve overall performance and capabilities. The application of environmental management principle not only provides direct benefits but also makes an important contribution to managing costs and risks, benefits, cost and risk management considerations are important for the organization, its customers and other interested parties.